Engine of a Ferrari F430 that visited Griante. The best way to get to Lake Como if you have one! Griante is on the western shore of Lake Como about half way up the lake and directly across from Bellagio, the picturesque city located at the tip of the lake's famous and scenic peninsula. Milan's airports, Malpensa and Linate, are only 100kms from Griante. Getting to Griante by car or public transportation is easy. The roads are well marked and reasonably easy to drive on. There are also many public transportation options that will get you to Griante's lake front hotels (Hotel Britannia, Hotel Riviera, Grand Hotel Tremezzo). From there, the village proper is a short 10 minute walk up the mountain from the lakeside. 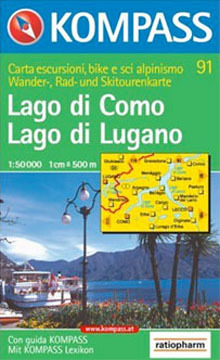 See our maps of Lake Como and Griante. Griante is located on state road SS340. Locally referred to as "la Regina", the SS340 is a scenic two lane road that winds along the west coast of the lake. Occassionally, this road can be backed up with traffic or slowed down by a large bus or truck. There are a few narrow sections that run through villages requiring attentive and careful driving, but otherwise the drive along "la Regina" can be quite enjoyable. Take Highway A8 (E62) toward Milano/E35/A9/Como/Chiasso. Exit onto Highway A9 (E35) toward Como/Chiasso then follow the "From the A9" instructions below. Take the A51/Tangenziale Est and then theA52/Tangenziale Nord toward Highway A4 (E64). Exit onto Highway A4 (E64) toward Torino. Exit onto A8 (E62) toward E62/Varese/Gravellona T/E35/A9/Como/Chiasso. Once on the A9, exit at Como Nord (the exit comes up very fast after a tunnel and is the last exit in Italy before entering into Switzerland; it is marked Ultima Uscita Per Italia) and then follow directions to Menaggio. After going through Como and Cernobbio you will end up on SS340, which is the main road that travels along the western shore of Lake Como. Take this two lane road for about 25km. You will pass through a number of small towns. The road winds and is narrow is some places, especially in the towns. After you go through Tremezzo you should prepare to turn left up to Griante after the Cadenabbia Ferry Boat Station on the right. The turn is immediately after the Britannia Hotel and immediately before the Riviera Hotel. If you miss this turn, just keep driving for about 3 minutes and take the next left turn. If you reach Menaggio, you've gone too far. Trains will get you as close to Griante as Como or Varenna. From Como, Griante can be reached by bus or high speed hydrofoil. From Varenna, Griante can be reached by a ferry ride across the lake. From Terminal 1 of the Malpensa Airport, take the Malpensa Express Train toward Milano but change in Saronno and take the first train to Como. Take a Bus or Boat from Como to Griante (follow the directions below). Take a bus from the Arrivals floor of the Linate Airport to the Stazione Centrale of Milano (see the Aeroporti di Milano Website for the costs and schedules). From the Milano Centrale train station take a train to Como following the directions below "From Milan Via Como" or "From Milan Via Varenna"
Cadorna (on the Ferrovie Nord Milano (FNM) Railway). Trains leave approximately every half hour or hour depending on what station you are leaving from. See the "Train Schedules" below. Como S. Giovanni (on the Ferrovie dello Stato Railway) is convenient for accessing buses to Griante. 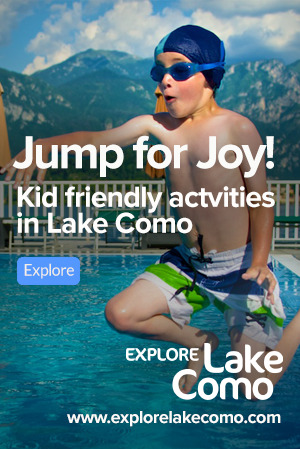 Take a Bus or Boat from Como to Griante (follow the "From Como" bus directions below). Take any train from Milano Centrale with final destination Sondrio or Tirano (not Como and not Torino) to the station Varenna-Esino. Trains leave approximately every hour or two. See the "Train Schedules" below. Take the Ferry Boat from Varenna to Griante (follow the directions below). The best online source for Italian train schedules is the Ferrovie Dello Stato web site which is in English. If you can read Italian, you can also check out Trenitalia's ViggiaTreno Website, a highly interactive and easy to use train schedule complete with realtime information and a version optimized for small screen mobile devices. Trenitalia is the state run railway, but its search function includes trains running the Ferrovie Nord line. The Ferrovie Nord Website also has schedules on line, but only for its own trains. Effective January 1, 2008, daily bus service from Malpensa to Como is no longer available. Take bus number C10 from either Stazione Autolinee or Stazione delle Ferrovie dello Stato di Como S. Giovanni. Ask the driver to let you know when you get to the stop "Cadenabbia - Maiolica" which is about one hour from Como. Bus C10 runs every day except December 25th and January 1st. Check the ASF Autolinee Srl for the latest schedules. From Como you can take either a "fast boat" to Tremezzo or a "slow boat" to Cadenabbia. The fast boat is called the "Servizio Rapido" and it runs all year. Sometimes it is referred to as the aliscafo (which means hydrofoil) although not all of the boats running on the servizio rapido route are hydrofoils â€“ some are fast catamarans. The fast boat stops at Tremezzo which is about a half-hour walk up to Griante proper. The slow boat, referred to as the "batello", takes you to Cadenabbia which is only about a 15 minute walk up to Griante. However, the slow boat only runs in the summer season (typically about June to September) and it is quite slow â€“ the trip from Como to Cadenabbia is about two hours. Check the Navigazione Laghi website for the latest schedules and costs. From Varenna, you can take a Ferry Boat, known as the "Traghetto", to Cadenabbia which is about a 15 minute walk up to Griante. The Ferry Boat runs all year and will also take your car. If you have a car it will be more convenient to take the Traghetto to Menaggio and drive to Griante since the Traghetto makes only a few trips from Varenna to Cadenabbia per day. If you don't have a car, you may need to take one Traghetto to Bellaggio and then another from Bellaggio to Cadenabbia. Check the Navigazione Laghi website for the latest schedules and costs.